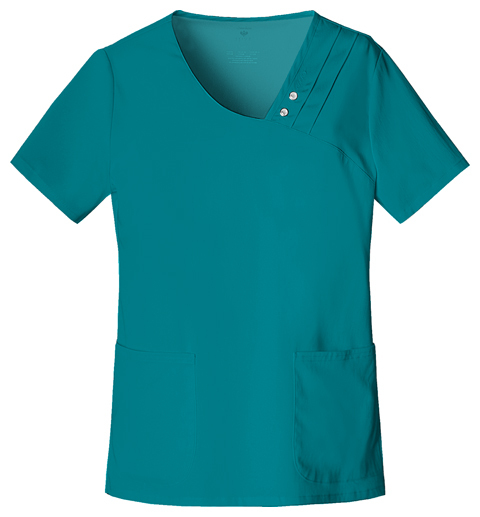 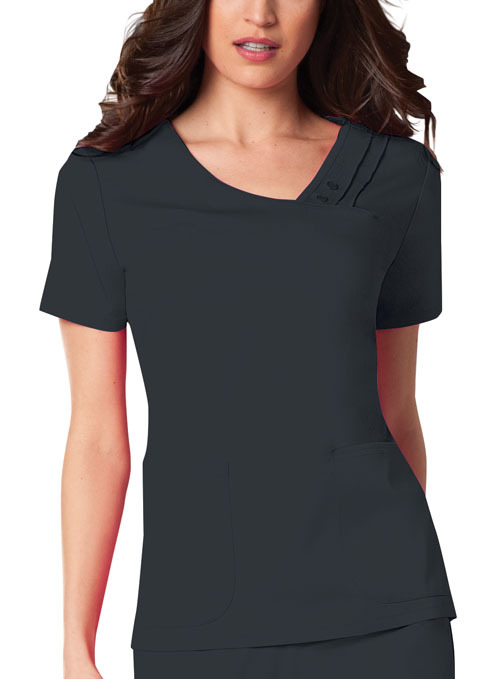 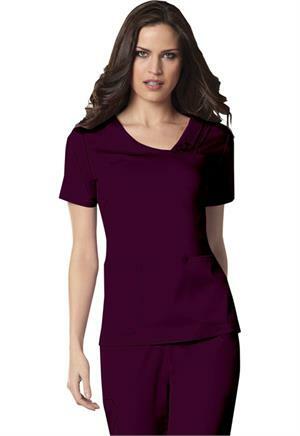 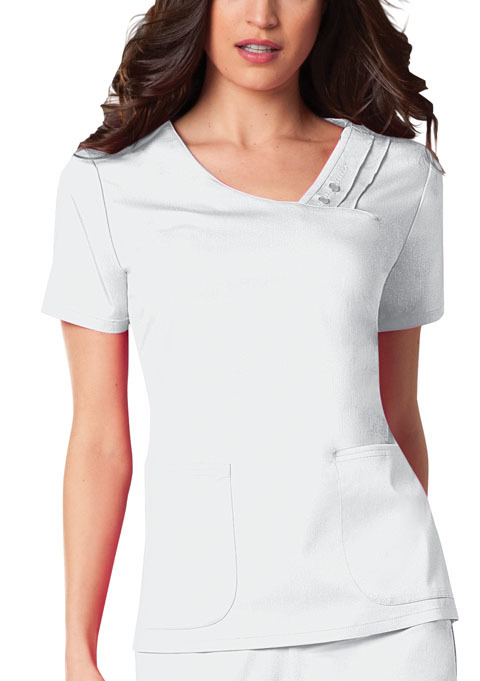 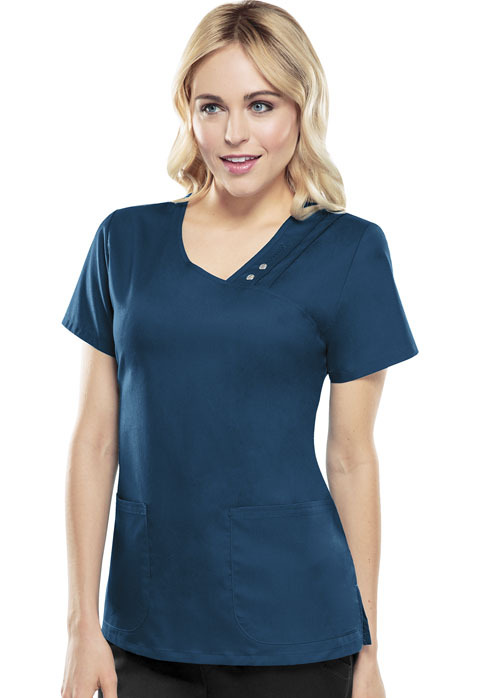 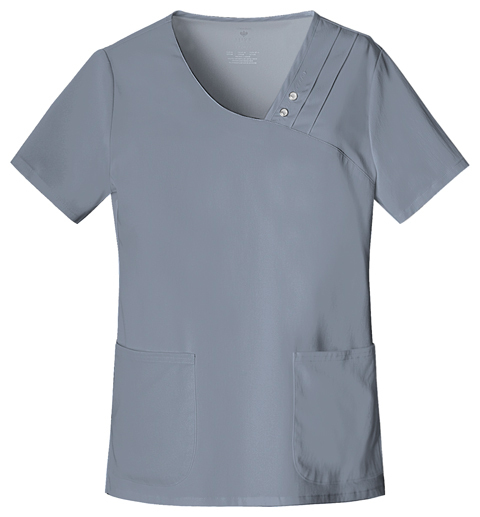 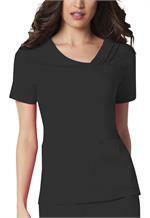 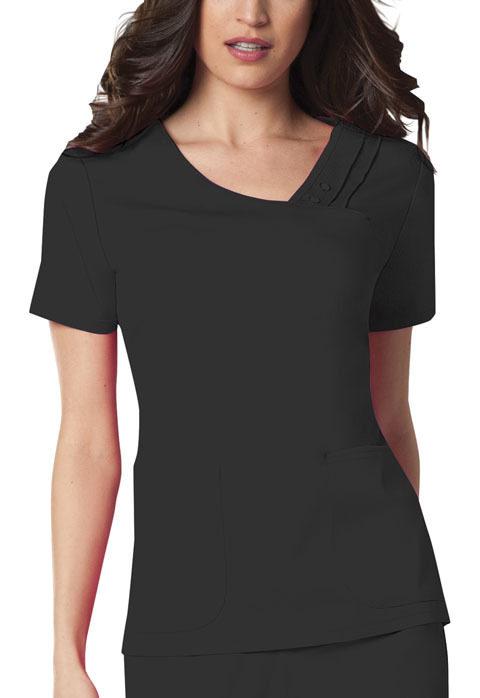 A Modern Classic fit, asymmetrical V-neck top features multiple pin-tucks, Luxe logo snaps and zigzag stitching at neckline. Release darts at back waist, front curved patch pockets, and side vents complete the picture. Center back length: 26".